Yes, it's incredibly late to the party, and yes, it's been value-engineered, but the MTA's overhaul of the ancient 96th Street subway station at Broadway still ended up with that cool glassy curved headhouse, which opened today! 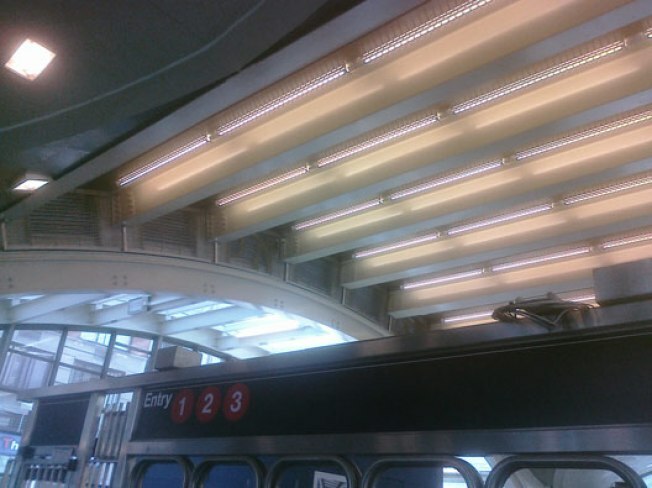 A Curbed tipster just sent along some spy shots. Heading down into the bowels of the 1, 2, 3 just got classy!